A-1 Auto Transport, a leader in the car shipping industry announces their new iPhone app which is offered for free on iTunes. In accordance with their goals of providing convenience to their customers, A-1 Auto Transport has now developed an iPhone application to provide users with yet another way to get instant auto shipping quotes. Pushing further into the world of technology and finding ways to apply it to the auto transport industry, A-1 Auto Transport has demonstrated again why their company has remained an industry leader for all of these years. For over two decades, A-1 Auto Transport has helped to ship thousands of vehicles to locations all across the country, shipping an average of 500 cars per year. Now, they’re providing their reliable car shipping services with the touch of an iPhone. For quite some time now, retrieving an auto shipping quote from the internet has been a readily available option. But the ability to check for such things on your mobile phone is incredibly new to the market, and most vehicle shipping companies have not yet developed an app like this. But for those who frequently are shipping vehicles, A-1 Auto Transport has an auto transport iPhone app which can help. For over 22 years now, A-1 Auto Transport has been serving customers all across the U.S, and even around the world. Their quality shipping practices and services have helped this company to remain a top competitor in the auto industry for all those years. Now, taking their years of experience and combining them with the technology of today and tomorrow, they have come out with an all new iPhone app that will allow users instant access to free auto shipping quotes to and from anywhere in the U.S.
By downloading this simple and easy to use app, users will be able to receive multiple free shipping quotes from the industry’s top competitors and instantly compare prices based on different car moving services. Then, from wherever in the world the user may be, they are able to schedule their shipment details right away. 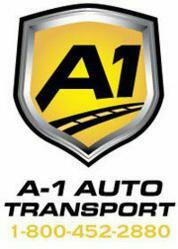 Visit the A-1 Auto Transport website (http://www.a1autotransport.com) to learn more about the company, or to find answers to any questions you might have about your auto shipment. You can also find A-1 Auto Transport on Twitter or can contact one of their customer service representatives at 1-800-452-2880.